Pullman Community Center is a 120,000 square foot indoor sports and community facility located in the Pullman neighborhood of Chicago’s south side. In addition to sports and recreation, the facility will provide and wide variety of educational programs. 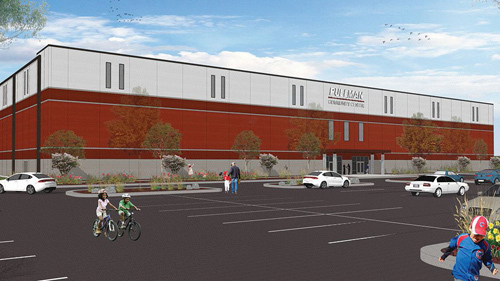 NCIF provided $4.5 million in New Market Tax Credit allocation and $1 million of debt to finance the Pullman Community Center (PCC). PCC is being developed by Chicago Neighborhood Initiative and will be co-owned by the Chicago Park District and Roseland Youth Center (a nonprofit that has provided sports and education programming in the neighborhood for over 50 years). Upon completion, the PCC will be a state-of-the-art indoor sports and community facility where more than 1,100 participants and visitors per week are expected to take advantage of its safe and nurturing environment for recreation, community events, exhibitions, academic programs (STEM and ACT/ACT courses, tutoring, entrepreneurship training), and camps for residents of this far south side community. This project is part of NCIF’s oneCity Strategy, through which NCIF is financing projects that spur community development in some of the most distressed areas in Chicago’s south side neighborhoods. Chicago Community Loan Fund (CCLF): Chicago Community Loan Fund, located in Chicago, IL, is a CDFI dedicated to providing flexible, affordable, and responsible financing for community stabilization and development of low- to moderate-income neighborhoods.